New York, NY– PHILLIPS & ASSOCIATES, a leader in the field of workplace discrimination, announces the promotion of Marjorie Mesidor to Partner effective immediately. Ms. Mesidor joined PHILLIPS & ASSOCIATES as Lead Counsel in 2011. She has committed her five years at the firm to providing outstanding service to clients who have been the victims of sexual harassment and discrimination based on race, gender, disability, and other protected characteristics. Ms. Mesidor regularly prosecutes employment actions against Fortune 500 companies and smaller organizations accused of discrimination including claims of sexual misconduct. During her tenure, Ms. Mesidor has achieved over $14.5M in settlements, awards and judgments for her clients. She rose to notoriety in 2013 she procured a unanimous jury award in Johnson v. STRIVE, a landmark case decidedly settling the issue of whether those of the same race can discriminate against one another. In addition, her work against the disparate impact of “poor door” policies on rent stabilized tenants has earned her recognition by the Office of the Public Advocate. “I am delighted to delve into partnership at PHILLIPS & ASSOCIATES. As a firm, we pride ourselves on protecting employee’s rights in the work place. I accept this new role with enthusiasm and commitment,” commented Ms. Mesidor. “Marjorie has played a critical role in the firm’s development. She has dedicated herself to serving her clients. I congratulate her on this well-deserved accomplishment,” William Phillips, Managing Partner. Ms. Mesidor received her B.A. in International Relations and Economics from Franklin University Switzerland in 2000 and her J.D. in 2004 from Touro Law School. 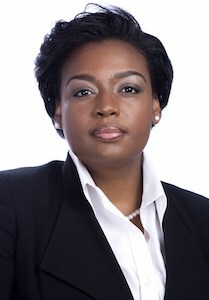 She is a member of the New York and Connecticut bars and an active member of the National Employment Lawyers’ Association of New York (NELA NY). Additionally, Ms. Mesidor is admitted in the Southern and Eastern Districts of New York, the Second Circuit Court of Appeals and US Supreme Court. She is a frequent Guest Legal Correspondent on WPIX Morning News, WBLS "Cafe Mocha" and 103.9 Long Island News Radio "On the Docket", Guest Legal Correspondent. Marjorie is one of the National Black Lawyers’ Top 100 Black Lawyers, a “Rising Star” and “Top Woman Attorney” by New York Super Lawyers* every year since 2013. She has been a panelist for the National Bar Association’s Labor and Employment Section and NELA NY on various topics in trial advocacy, punitive damages and jury awards. The law firm of PHILLIPS & ASSOCIATES is a premier boutique sexual harassment and discrimination law firm in NYC. Our attorneys are at the forefront of defending workers’ rights in New York City and the Tri-State area, focusing on claims relating to sexual harassment, pregnancy discrimination, and family and caregiver discrimination, as well as all other workplace discrimination on the basis of race, age, sexual orientation, disability, or other protected trait.